After the end of World War II, most of the surviving high-ranking members of the Nazi party went into hiding so that they could not face trial for their war crimes. And a select few Israeli “Nazi Hunters” made it their life’s work to track them down and bring them to justice. Operation Finale is the story of one of these “locate and capture” missions. Operation Finale centers around one of these Nazi Hunters, a Mossad agent named Peter Malkin (Oscar Isaac from Ex Machina and Inside Llewyn Davis). When SS Lieutenant Colonel Adolph Eichmann (Ben Kingsley from Gandhi and Schindler’s List), the “Architect of the Holocaust,” is reportedly spotted in Argentina, Malkin and a select team of operatives are sent in to extract the man. 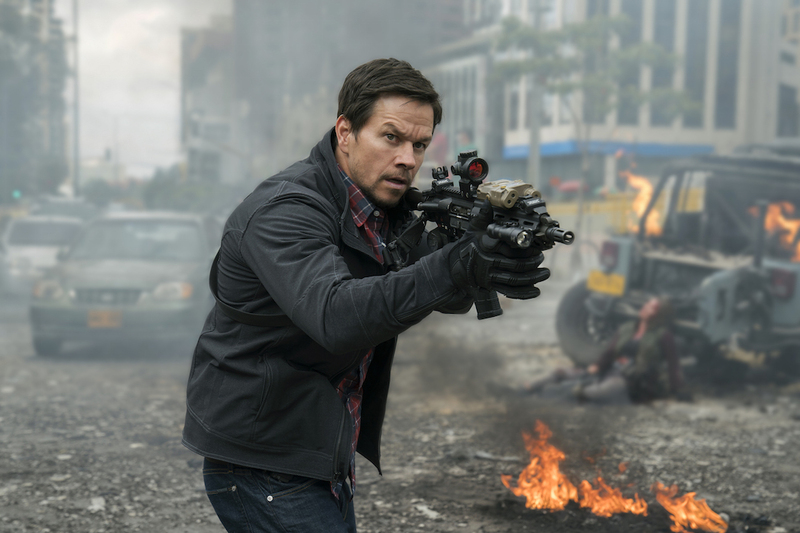 With the help of a local man named Lothar Hermann (Peter Strauss from “Rich Man, Poor Man”) whose daughter, Sylvia (Haley Lu Richardson from The Edge of Seventeen and Split), has been dating Eichmann’s son Klaus (Billy Lynn’s Long Halftime Walk‘s Joe Alwyn), Malkin and his team are able to identify and capture the aging Nazi. 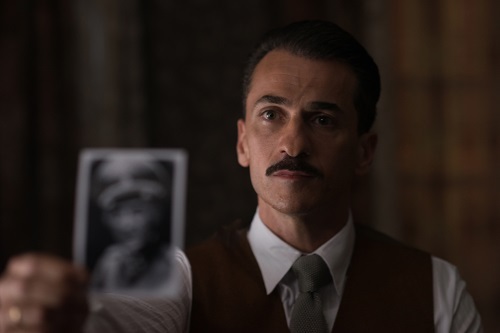 As the team works to smuggle Eichmann out of the country, Klaus enlists the help of the local authorities to try to get his father back. Written by Matthew Orton (Battle of Britain), the script for Operation Finale, with a few minor deviations, sticks moderately close to the official true story upon which it was based. Director Chris Weitz (The Twilight Saga: New Moon) makes a competent little spy thriller with its fair share of tension and suspense which walks the thin line between melodrama and shock theater. However, it suffers from the same fault that many (if not most) historical dramas do; it’s bloated with tedious and unnecessary padding. When Operation Finale is on, it’s on. The stalking, surveillance, and actual abduction of Eichmann by Malkin and his team is thrilling. And the scenes with Klaus, himself becoming a Nazi figure in his own right, are downright horrifying. But Operation Finale is weighted down with scenes of planning and preparation, of practice and rehearsal, all of which only serve to bulk up the film’s running time rather than forward the story. Once Eichmann is in custody, the brakes on the film completely lock, as both captive and captors stay holed up in a safe house waiting for the right moment to skip town. 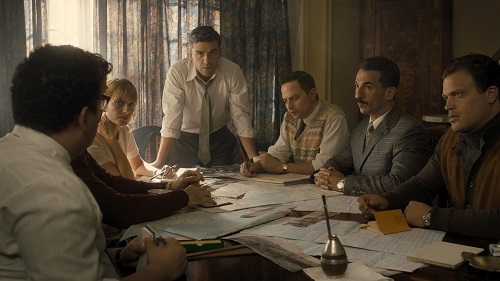 Honestly, when it comes to Nazi Hunting, Operation Finale is more Argo than Inglourious Basterds. Which is probably a more accurate representation of how the Israelis actually tracked down war criminal refugees. But it’s a lot more fun and satisfying to watch a soldier beat the hell out of a Nazi with a baseball bat than it is to watch an agent interrogate one in a dark hotel room. Operation Finale is an obvious vehicle for Oscar Isaac and Ben Kingsley, and both actors are great. Isaac has just the right amount of determination mixed with doubt that comes with being haunted by past failures. And Kingsley plays his role with just enough regret to be sympathetic, yet still hangs on to his touch of evil so that the audience knows that he’s not sorry for anything he’s done, only that he got caught. 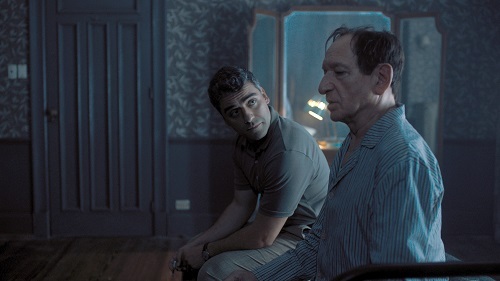 Isaac and Kingsley share many scenes together in the aforementioned dark hotel room, and while the scenes are not the most compelling ones in the movie, the performances alone make them tolerable. The rest of the cast is loaded with surprises. 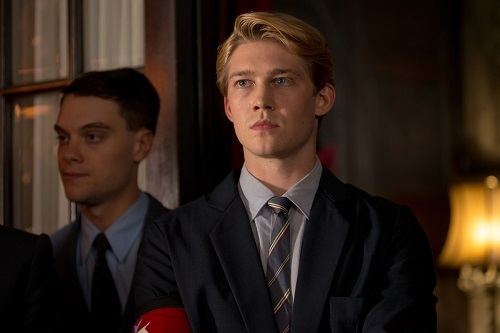 As noted earlier, Joe Alwyn is terrifying as the junior Eichmann, a budding psychopath whose father’s kidnapping gives him yet another reason to hate Jewish people. Noted comic actor Nick Kroll (“The League”) spreads his wings as a Mossad agent in a rare dramatic role, and he holds his own up against pros like Isaac and Kingsley. The biggest shame on the cast is the underutilization of the talented Mélanie Laurent (Enemy, By the Sea), who is basically relegated to playing a doctor who has to inject Eichmann with a sedative so he can fly. 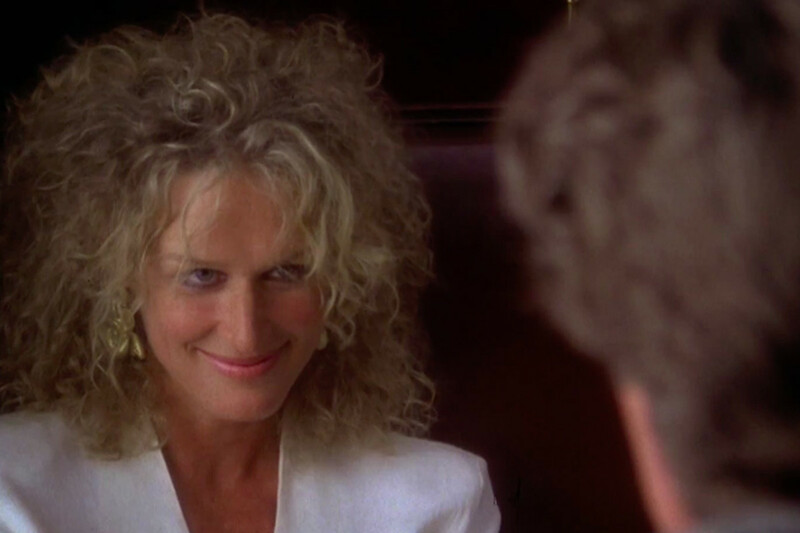 It’s a waste of her abilities, but she does what she does get to do well.